‘Āinahau was the cherished residence of Princess Kai‘ulani. This recording features a choral arrangement, arranged by Waipuna’s talented engineer, Kale Chang, and sung by Kumu Hula Snowbird Bento, Noelani Naluai Crail, Kalikolīhau Hannahs Paik, & Anuenue Punua. 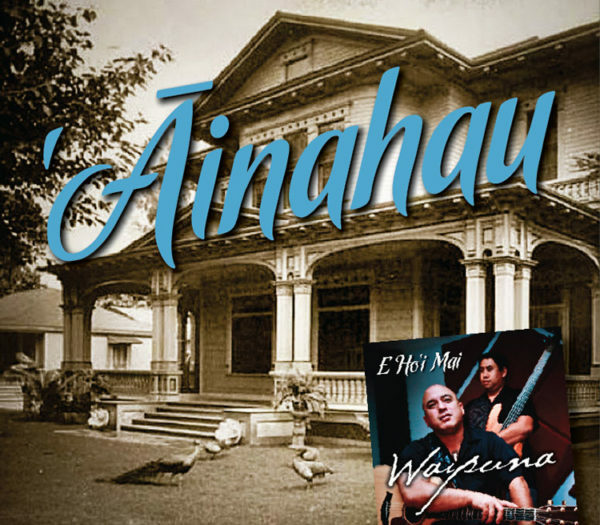 This tribute to a beloved member of Hawaiʿi’s royal family won a Nā Hōkū Hanohano award for Single of the Year in 2012.